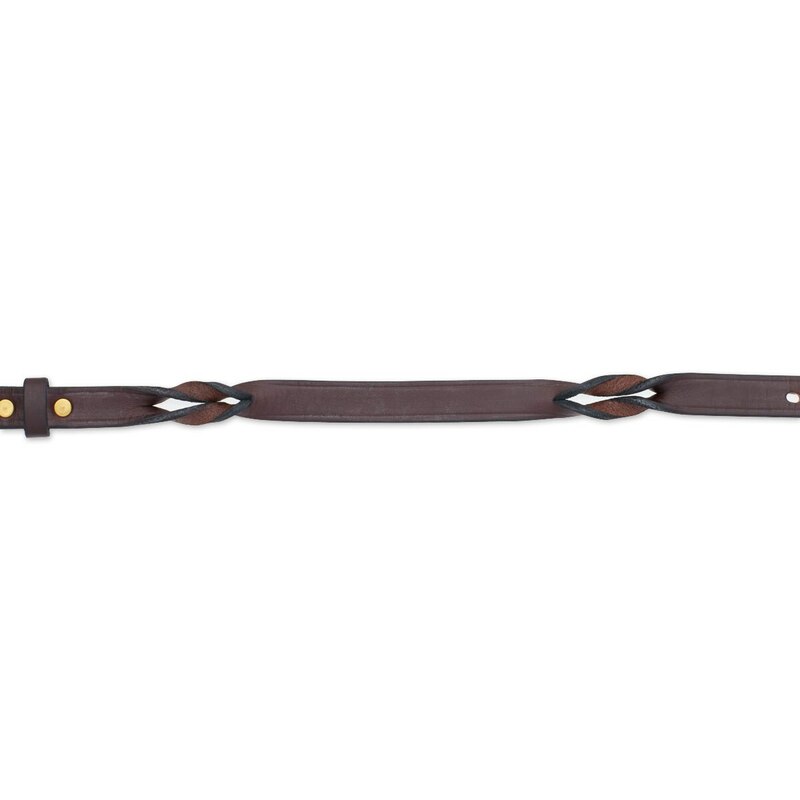 The Twisted Leather Collar is beautifully crafted and Amish made. The leather is very soft and supple making it comfortable, yet durable enough for even the most playful and adventurous dogs! Perfect for everyday use! Small: 1/2" x 16" - fitting dogs with 10 - 13" necks. Medium: 3/4" x 21" - fitting dogs with 12 - 16" necks. Large: 1" x 25" fitting dogs with 16" - 20" necks. 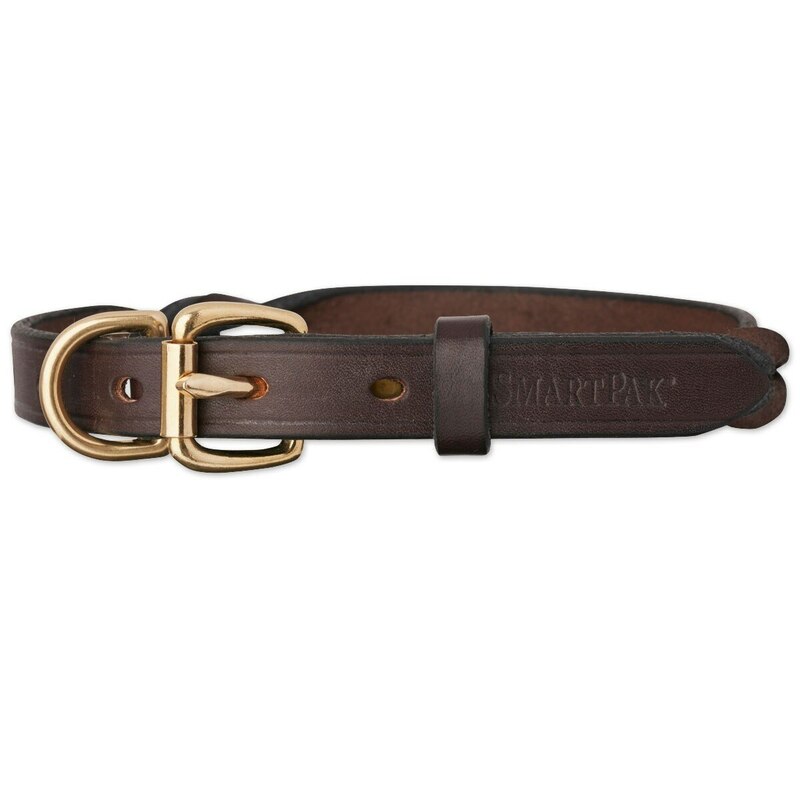 SmartPak Twisted Leather Collar is rated 5.0 out of 5 by 3. Rated 5 out of 5 by NobleAttempt from Gorgeous Collar I bought this collar about 8months ago as dog's first "big boy" collar when he finished growing. I LOVE this collar it is so simple and beautiful, but with a little elevated elegance from the twisted sections. The leather was a little stiff at first, but after a week or so of daily wear it softened up. I was honestly shocked at how nice and thick the leather was for the price.This is my first collar with a nameplate before, but will never go back again - no tags jingling as he walks around the house! I also love this collar for how many compliments I/my dog gets on it - we all know our dog is the best looking one out there, but it never hurts to hear it from a stranger too! There are a couple of things I would tweak though. My dog is a 50lb mutt and the medium is the correct length for him, but I would prefer the 1inch width on him over the 3/4inch width that the medium comes it. It still looks nice on him, but on a bigger dog I wanted a little bit bigger collar. My only other tweak would be the nameplate. I wanted 3 lines so I can have his name and both of his owner's phone numbers - but thats a lot to ask of one little nameplate. Overall though, no complaints. 8months in of daily wear on my 1.5yr old rowdy pup and this collar still looks as good as the day it came out of the package! Rated 5 out of 5 by Miss Mare from Absolutely beautiful! This collar is buttery soft and gorgeous! My dog is 53 pounds with a 16 inch neck. I ordered a medium; I’m glad I sized down as a large would’ve been too big. I highly recommend this collar and I highly recommend the personalization option as well.